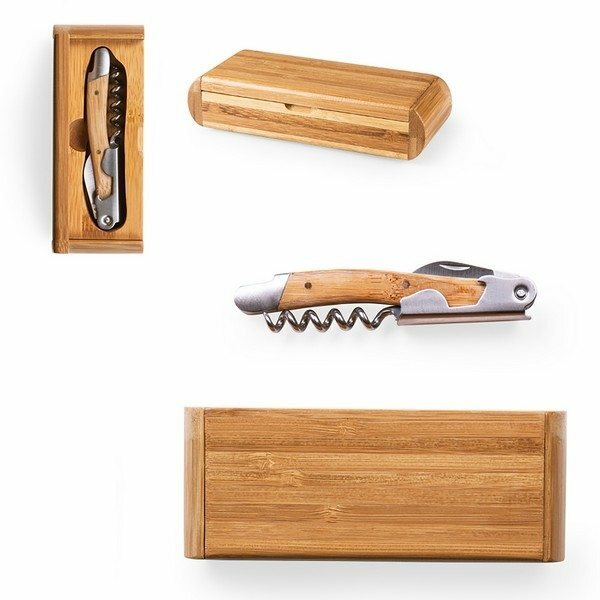 The Elan - Bamboo is a practical and stylish addition to your wine bar. 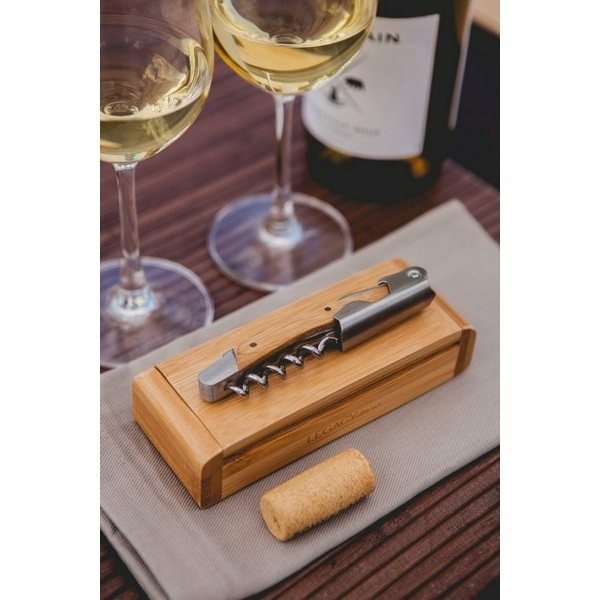 It features a stainless steel waiter-style corkscrew with bamboo handle that sits in a box carved from eco-friendly bamboo, one of the fastest growing trees in the world. 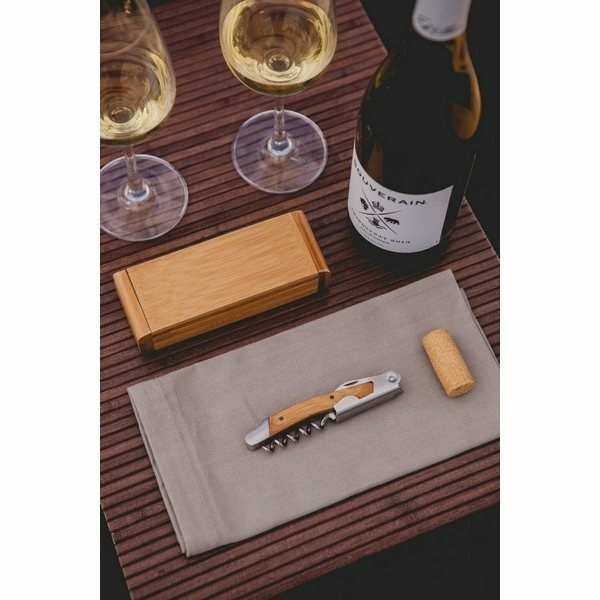 The Elan - Bamboo makes a thoughtful gift for one's earth-conscious friends who enjoy wine. 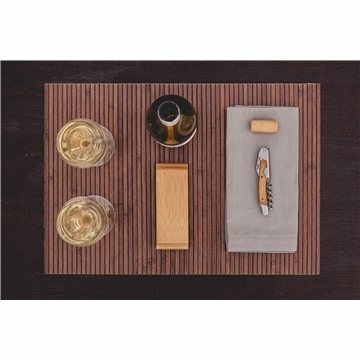 We've used this item before and it's a hit with our patients. What I liked most: Quality, style, production time and cost.